In this session,hear about innovative storage and data management strategies that are being used by leading organizations around the world to build highly efficient,flexible and reliable IT infrastructure to support their business-critical enterprise software including Microsoft Exchange 2010,SharePoint Server 2010 and applications running on SQL Server 2008 R2. 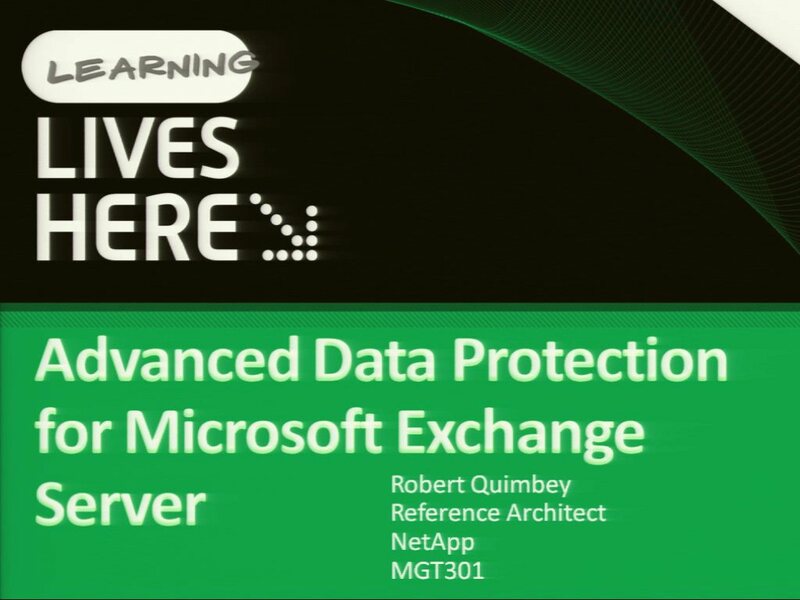 Also learn how to automate critical datacenter functions such as Exchange Server disaster recovery and Hyper-V Server provisioning. During the session,we create Opalis workflows and explain how you can easily add automation to your existing Microsoft and NetApp environments.